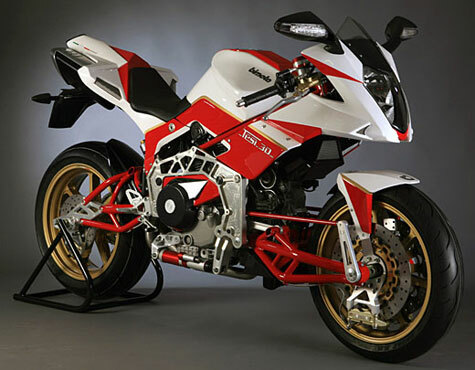 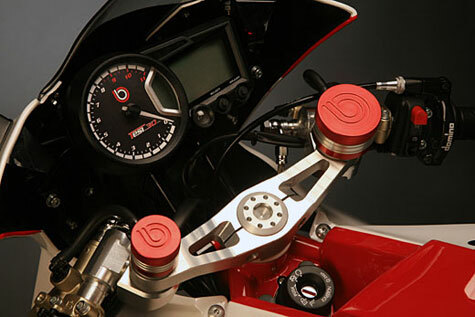 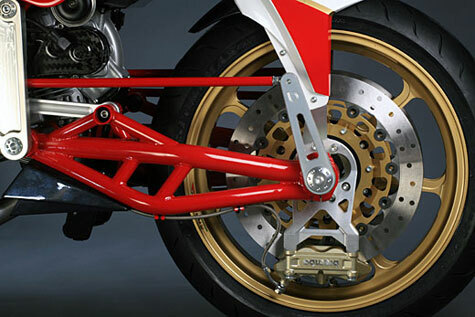 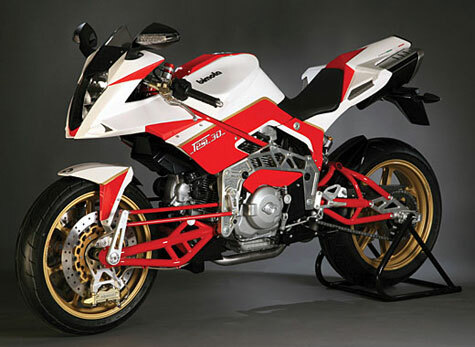 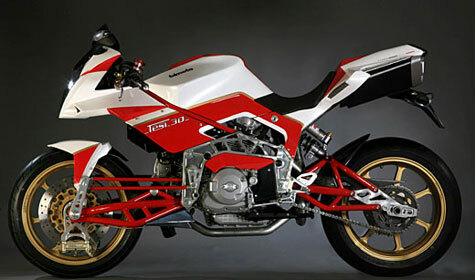 Pierluigi Marconi?s center-hub steering Bimota TESI (named because it was indeed his Mech.E thesis) hit the world in 1990 as the Bimota TESI 1D and created a sensation. 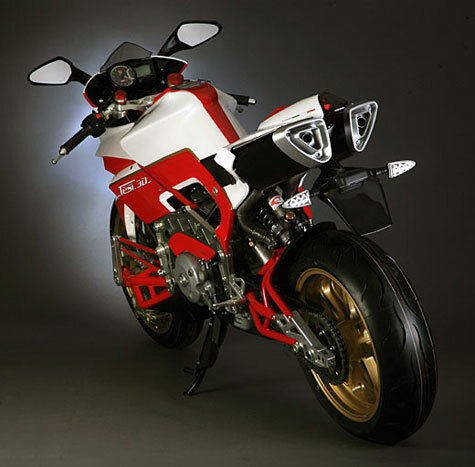 Though Marconi has since moved on from Bimota, the third incarnation of the completely redesigned machine went on display recently as the 3D. 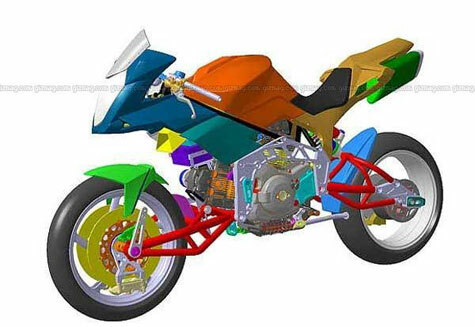 As the D indicates, the motor of the bike is a Ducati, and this latest redesign takes advantage of Ducati?s new 1079cc motor, adding a lot of horses since the original 1D?s 851 motor. 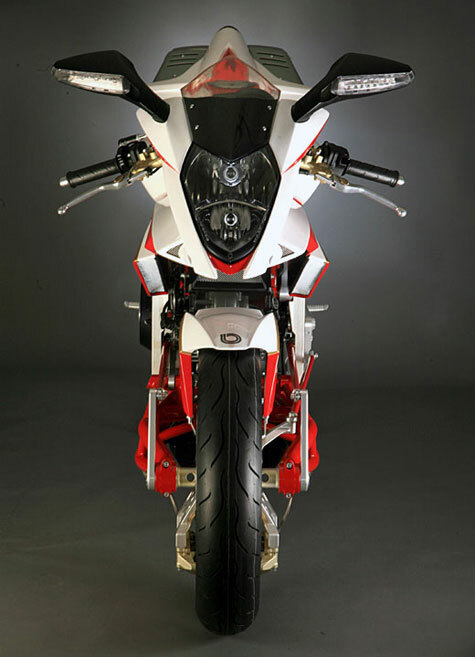 The new TESI 3D is gorgeous, light at just 168 kg, and looks sort of weird because the front and rear swing arms are almost identical. 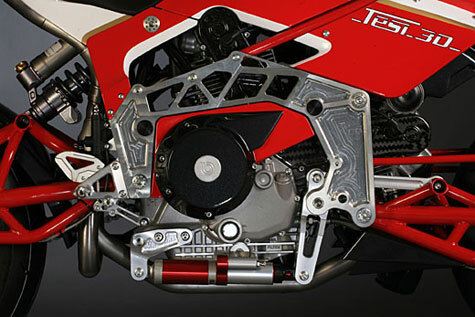 In between there?s the usual trellis framework and extraordinary workmanship. 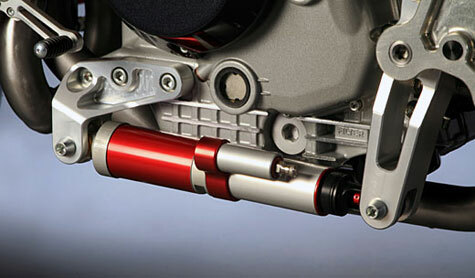 Only 29 numbered 3Ds will be built, each costing EUR 29,000 Euro (US$38,400).